Are you a fan of PEEPS? Easter sweets always include PEEPS bunnies and PEEPS chicks. What is your favorite Easter sweet treat? This is the simplest Easter Recipe and Easter Craft that can be made quickly. First you make some cupcakes. Use any cupcake recipe - we use our easy Best Ever Cupcake recipe. The recipe is for Chocolate which can be made Vanilla by just omitting the cocoa powder or purchase cupcakes from your favorite bakery. Bake the cupcakes, cool and frost with your favorite frosting. We do use the Best Buttercream Frosting. 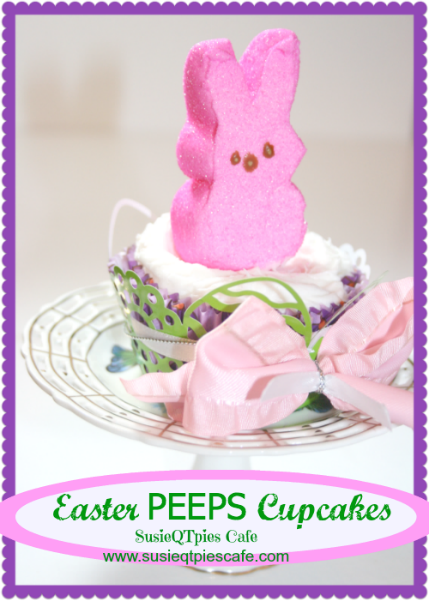 Add your favorite PEEPS to the top of the cupcake. If you want to make the cupcake even fancier, buy cupcake wraps (mine are green Easter eggs) and wrap around the cupcake liner. Add ribbon around the cupcake and make a bow. Very easy! Do you have any favorite Easter Recipes or Easter Crafts? If so, add them to my Recipes for the Holidays Pinterest Board or my Easter Treats & Recipes Board. Please subscribe to my new newsletter. I have a special giveaway coming soon just to subscribers! Cute idea! I've never heard of cupcake wrap before. Great idea! My son tried peeps this year for the first time! He loves them! I might have to give these cupcakes a try. My favorite Easter treat is peanut butter eggs! These are so precious! What an adorable little addition to the cupcake! Thanks for linking this up in the crafty showcase! You know we love your projects! Thank you for sharing this in the Craft Showcase. 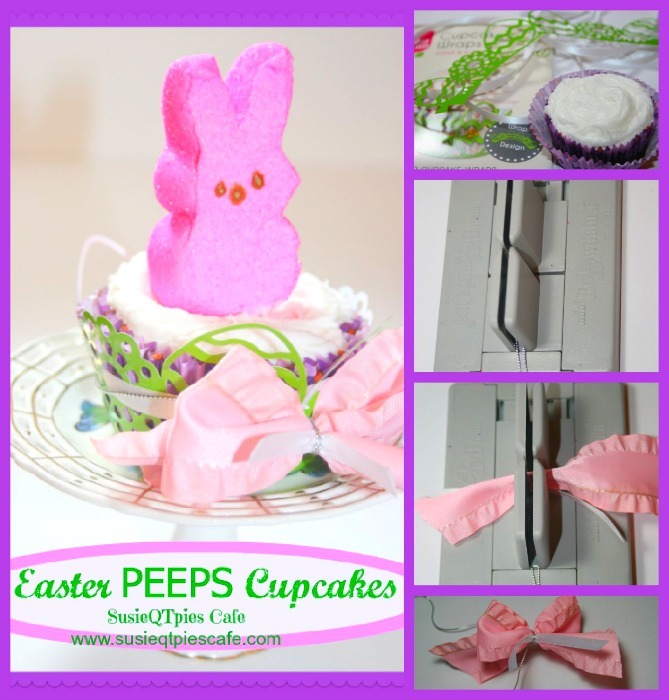 We are featuring you in our - Get Crafty with 10 Easter Recipes - http://bowdabrablog.com/2013/03/21/get-crafty-with-10-easter-recipes/# posted today on our blog. This is too cute. Thank you for shairng!